IFTA Members are invited to a special Academy Screening of Allan Cubitt’s ‘Death and Nightingales' (feature length cut). This is the latest work in an illustrious career from Northern Irish screenwriter and filmmaker Allan Cubitt. Alan is a three time BAFTA nominated writer/director who has worked on a number of top television series including ‘Prime Suspect 2’ (1992), ‘The Hanging Gale’ (1995), ‘Murphy’s Law’(2003-7) and ‘The Fall’ (2013-16). Allan has also been nominated for two IFTA Awards and was the recipient of the ‘Best British Crime Writing’ award for ‘The Fall’ at the 2015 British Screenwriters’ Awards. Allan Cubitt’s drama originally screened as a three-part period drama on both BBC and RTÉ in December. 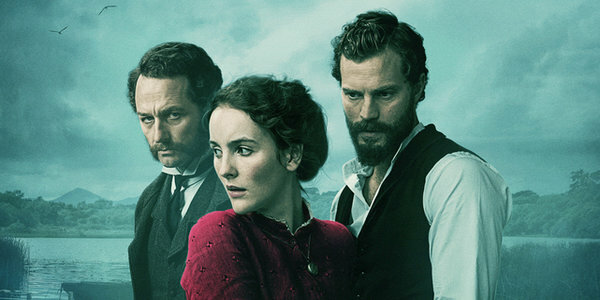 Irish actress Ann Skelly (‘Red Rock’, ‘Kissing Candice’) stars alongside Jamie Dornan (‘The Fall’, ‘Anthropoid’) as the central character Beth Winters, whilst Matthew Rhys (‘The Americans’), Martin McCann (‘The Survivalist’), Charlene McKenna (‘Ripper Street’) and Valene Kane (‘71’) complete a strong and predominantly Irish cast. Allan Cubbit will take part in a Q&A following the screening.